Our monthly Campus News brings you the latest news from GTI concerning our services and products for those involved in higher education. To get our Campus Newsletter sent straight to your inbox, simply complete your relevant details on our contact form here. • Here’s still what’s to come in 2018! Engineering interviews and assessment centres are well under way. 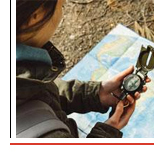 So we thought, what better time to write two new articles to help your students take their prep to the next level. 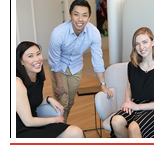 If they’ve only got five minutes, direct them to ‘Engineering interview questions and how to answer’, where they can find out what types of questions they’ll be asked and how to prepare for them, plus what questions they should ask when the tables are turned. 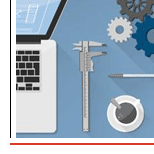 While they’re at it though, we recommend they also check out ‘Engineering assessment centres: what to expect and tips for success’, where we run through the exercises to expect, how to prepare and how to handle the social side of assessment centres. Competition is tough for students hoping to break into the journalism and publishing industries, especially if they only apply to formal graduate schemes and internships. Our new article on how to find publishing and journalism graduate jobs and work experience encourages students to consider alternatives such as one-off vacancies, smaller organisations, work shadowing and speculative applications. 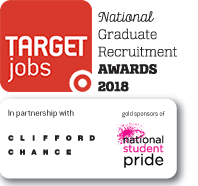 The deadline for the TARGETjobs National Graduate Recruitment Awards 2018 has now been and passed, with entries for the Best University Employability Strategy, the student panel awards and the sector awards now closed. Thank you to all who submitted entries for the awards this year – it has been a record year for entries in the student panel awards, and we have had over 70,000 students respond to the trendence UK Graduate survey, which is used to shortlist the sector awards. The sector shortlist was announced at the end of January, and the student panel judging day was in early February, with students gathering at The Guardian head offices to go through all award entries. 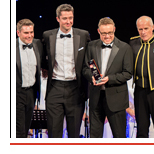 With just over a month to go until the awards evening, we are really looking forward to all it will have in store. For a full list of organisation shortlisted in the sector awards, and for more information about booking a place, please visit targetjobsawards.co.uk. Here’s still what’s to come in 2018! Firstly we would like to say a big thank you for your continued support with The TARGETjobs Undergraduate of the Year Awards. We’ve had a total of 3,336 students apply this year from 160 universities. Watch this space to see if any of your students could be the winner!